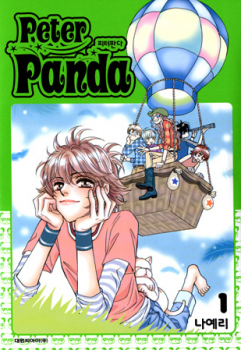 Based on the title and summary, you would assume this is an adorable little manga about love and a magical stuffed panda. That is part of it, to be sure, but the fluffy little panda storyline seems to quickly take a backseat to the messed up psychological issues of the rest of the characters. This manga gets dark. It's kind of an interesting mix, I suppose--the magical panda doesn't seem to really fit with the overall theme of the story. He's not even the comic relief, really; the interactions between the mentally-screwed yet bishi-rific male characters (see image below) are the funny parts. I am still undecided as to whether the ending is completely perfect or completely unsatisfying. Note my pointed question mark added next to the genre of "romance." Still, though, it's a touching story and the art is pretty. Note: A bit less than half-way through there is a single chapter side story. Don't get confused!